Access to “Attraverso i muri di bruma” is free. Booking is required by calling +39 02 56 66 26 13, from Monday to Friday, from 10 am to 6 pm. Tickets can be collected at the entrance of the venue on the evening of the performance, from 8 to 8.30 pm. It is possible to book up to 4 tickets at a time. Please note that there is no assigned seating. The audience will be able to move freely inside the venue for the entire duration of the performances. “Attraverso i muri di bruma” (Through Walls of Mist) is a choreographic project conceived by Billy Cowie for Fondazione Prada’s Milan venue. 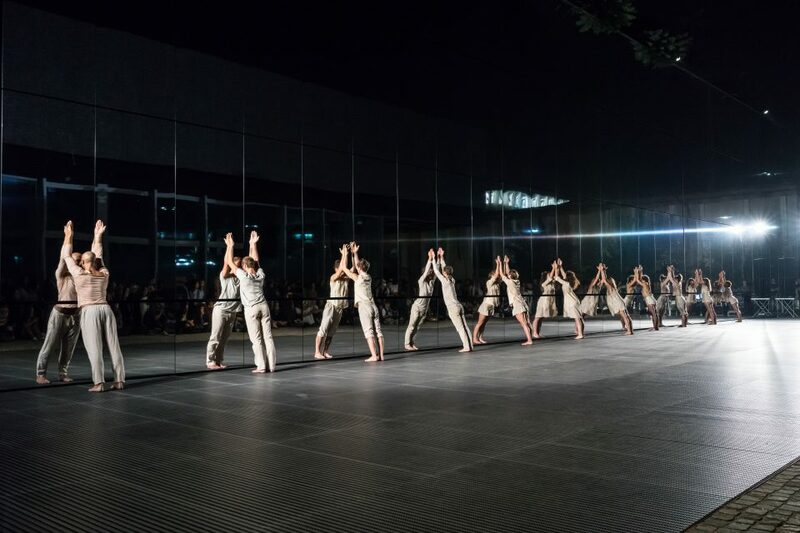 Developed in collaboration with Civica Scuola di Teatro Paolo Grassi, whose director is Giampiero Solari, “Attraverso i muri di bruma” will involve 11 newly-graduated dancers of the Course in Dance Theatre, led by Marinella Guatterini, advisor to the project. The performances, open to the public, will take place from Wednesday 28 to Friday 30 September 2016, from 8:30 to10:30 pm. Admission is free, upon reservation. “Attraverso i muri di bruma” is the second performing arts project to be hosted by Fondazione Prada with the intention of expanding its cultural program and exploring other instruments of research beyond visual arts. Moreover, this project represents not only an important opportunity for collaboration with a group of young dancers, but also with a renowned educational institution such as Civica Scuola di Teatro Paolo Grassi, which has hosted the Course in Dance Theatre since 1986, well known for training and further specialization of choreographers, performers and contemporary dancers. Billy Cowie, a Scottish choreographer, musician, writer and visual artist, acclaimed worldwide for his stereoscopic performances and video installations, has conceived a site-specific project that includes music, video projections and live choreography for the spaces of Fondazione Prada. In this regard Cowie says: “As I wrote in my book Anarchic Dance (2006) – ‘the regulation black box space of so much performance is not only flat in terms of visuality it is physically flat as well. 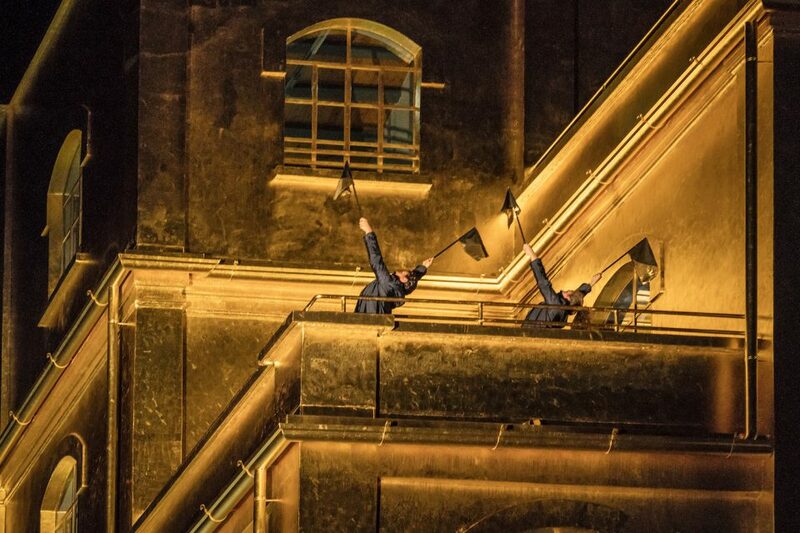 One obvious answer to the ubiquitous black box is the site-specific dance work where the choreographer can indeed use the vertical dimension – stairs, balconies, hills, etc. and where a wealth of visually interesting contexts can inform the work.’ I could have been writing then about this piece for the amazing spaces of Fondazione Prada where there is indeed a wealth of spaces and visual textures”. According to this vision, “instead of passive captives the spectators became explorers – seeking out the best vantage points, moving with the dancers, leaving when they have had enough, returning when they want more, bringing their friends, talking even!”. The title “Attraverso i muri di bruma” (Through Walls of Mist) refers in part to the poem Sei es So by the German poet Silke Mansholt, visual designer of the project, who co-authored with Cowie the texts of the work which also includes some poems by Federico García Lorca. The title refers even to the twilight world of the 3D dance, a handcrafted technology that Cowie has been developing since 2002, achieving sophisticated and poetic outcomes. 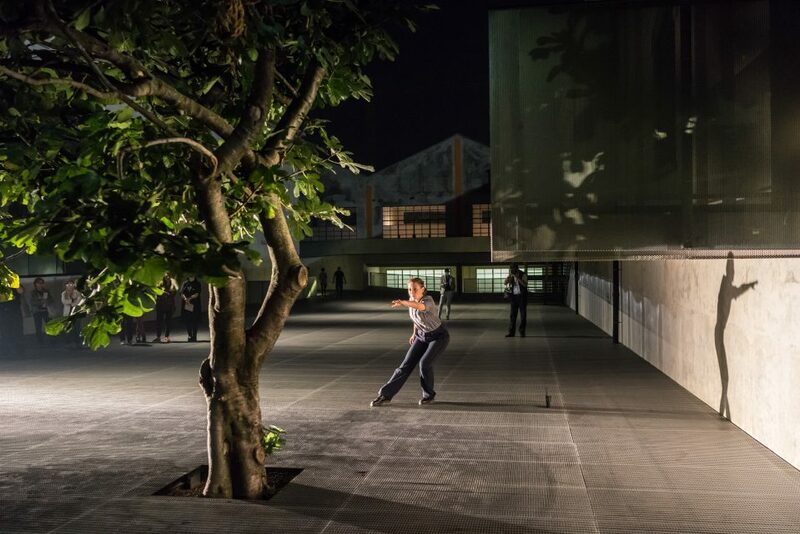 In the first part of “Attraverso i muri di bruma” seven events will happen simultaneously: Noche de Quatro Lunas (a dancer will perform a duet with a tree accompanied by a poem by Lorca), Retrospettiva (a screening of 3D films by Cowie such as Art of Movement, Jenseits, Tango de Soledad, t’es pas la seule, and Under Flat Sky to be presented at the Cinema), Casa di Nebbia 1 (a large 3D projection of dance on the external wall of the Sud gallery), Danza di Paura (two dancers’ performance on the balcony of the Haunted House), BEH! 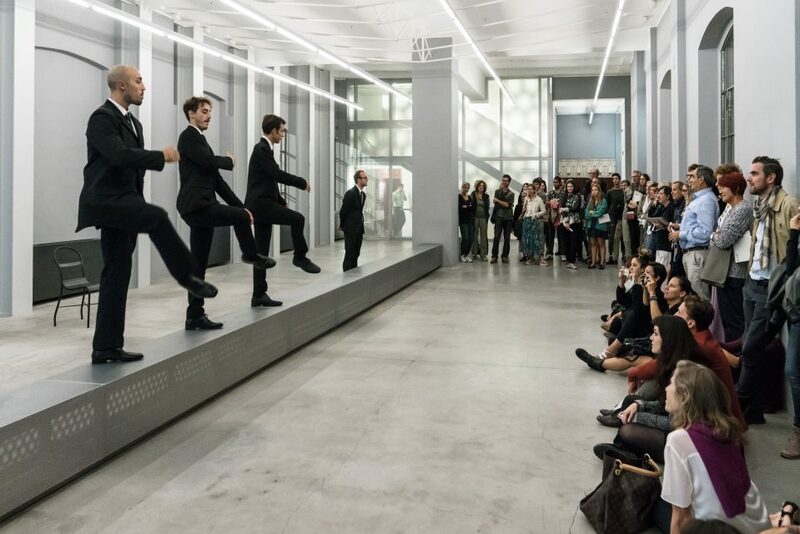 (a four dancers’ interactive choreography held on the ground floor of the Biblioteca with a text exploring the subtler nuances of the Italian language), Herz (a performance held on the terrace of the Nord gallery, accompanied by the song Herz), Casa di Nebbia 2 (the same choreography of Casa di Nebbia 1, but performed live within the Nord gallery). The second part of “Attraverso i muri di bruma” will be held in the courtyard between the Cinema and the Podium buildings. 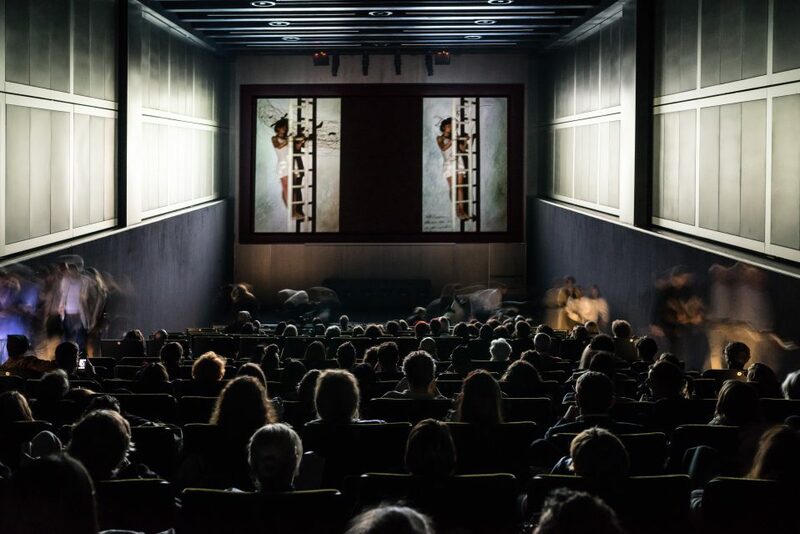 The audience will be invited to gather in the space to attend a final event where the eleven dancers will perform in front of the mirror walls of the Cinema. A series of unison ensemble works using the Mansholt Lieder (sung by Rowan Godel) will be interspersed with solos employing the same texts translated in Italian.